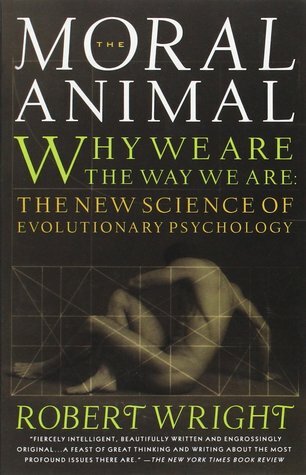 Another work I’m finally catching up with is Robert Wright’s Moral Animal: The New Science of Evolutionary Psychology (1994). We all know the usual narrative about men being shaped by their genes to want to reproduce with everything in sight while women are always on the shrewd lookout for the best candidate to protect and provide for her children. Wright adds that the males who are advantaged by monogamy are not only those at the bottom of the income scale. Consider a crude and offensive but analytically useful model of the marital marketplace. One thousand men and one thousand women are ranked in terms of their desirability as mates. Okay, okay: there isn’t, in real life, full agreement on such things. But there are clear patterns. Few women would prefer an unemployed and rudderless man to an ambitious and successful one, all other things being even roughly equal; and few men would choose an obese, unattractive, and dull woman over a shapely, beautiful, sharp one. For the sake of intellectual progress, let’s simplemindedly collapse these and other aspects of attraction into a single dimension. Suppose these 2,000 people live in a monogamous society and each woman is engaged to marry the man who shares her ranking. She’d like to marry a higher-ranking man, but they’re all taken by competitors who outrank her. The men too would like to marry up, but for the same reason can’t.